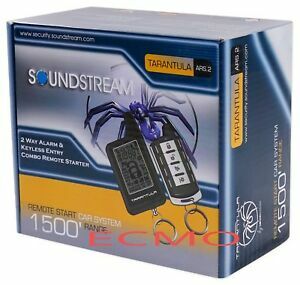 The Soundstream ARS 2-2 is a convenient automobile alarm tool. This accessory can be used in a residential or commercial area with a 1500-foot range and four-channel system. The transmitter has an LCD panel, so the process of implementing procedures to protect a vehicle is easy. Since the ARS 2-2 is equipped with a two-stage shock sensor, minor efficiencies won't impact security. If something triggers the alarm, sounds will fill the atmosphere quickly, as the main technology uses multiple sirens.